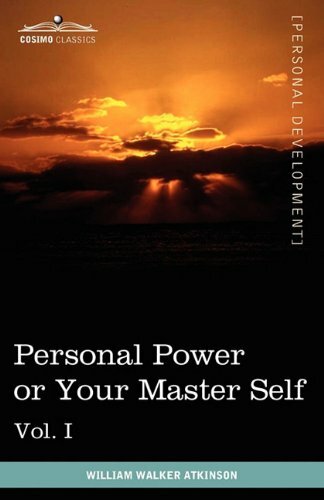 The original 12-volume series, the Personal Power Books by WILLIAM WALKER ATKINSON (1862-1932), are a set of self-help books designed to be carefully studied to develop personal power. In the Foreword to Volume I, personal power is defined as "The ability of strength possessed by the human individual, by which he does, or may, accomplish desired results in an efficient manner, along the lines of physical, mental, and spiritual effort and endeavor." In other words, these books describe the methods to attaining control and power in your own life, whether it be financial, physical, mental, or emotional--certainly a worthy goal for any individual. American writer WILLIAM WALKER ATKINSON was editor of the popular magazine New Thought from 1901 to 1905, editor of the journal Advanced Thought from 1916 to 1919 and proponent of the New Thought movement. He authored dozens of New Thought books under numerous pseudonyms, including the name "Yogi Ramacharaka", some of which are likely still unknown today.